Customer Bikes - British Cycle Supply Co. Thanks again, you guys are awesome. 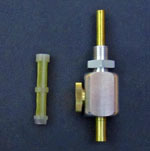 Can't wait to start ordering. If you would like to see your bike here, please send us a picture and a brief description and we will post it. John Pepper's "Halfway Home Without a Hitch"
07/02/2013 Who's been working on your motorcycle? 03/20/2013 Whose BSA Is This? 01/04/2013 1961 Triumph 5TA "The Miss Maggie"
01/20/2012 1967 Triumph T100C "Jack Pine"
09/28/2011 Triumph Chopper "Miss Bonneville"
12/20/2010 Barley - BSA with Harley Engine - Updated 01/13/2011! 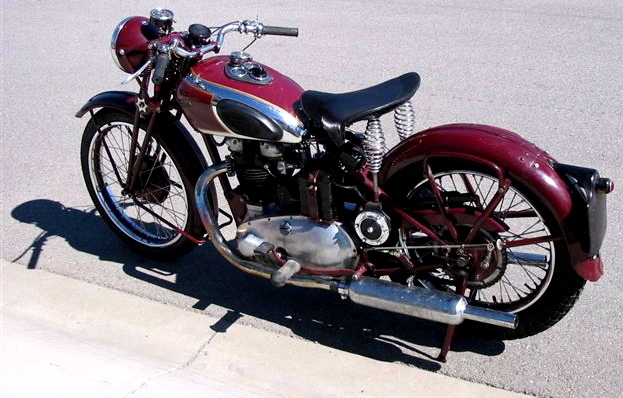 09/29/2010 Model BSA A Must See! 09/10/2010 A Visit From "Frenchy"
09/05/2010 1966 Honda Superhawk with Goldstar Twitters Video! 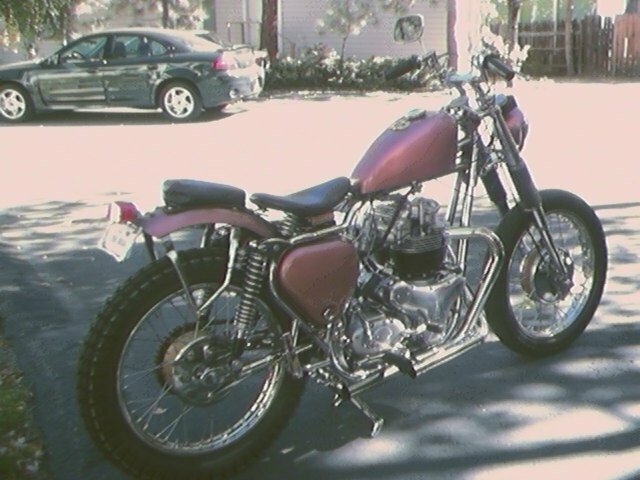 08/25/2010 Little Max's 1972 Norton 750 Combat Commando Video! 07/06/2010 1965 BSA Lightning Rocket Updated 05/12/2011! 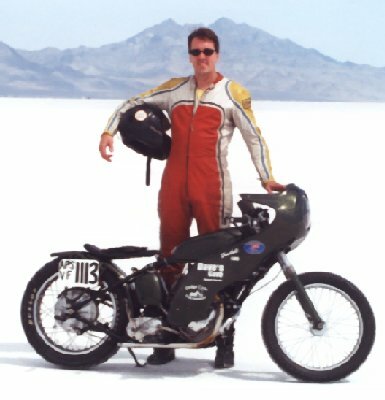 04/28/2010 1957 TRW 500 Bobber The "Gasshopper"
03/10/2010 Bonneville Salt Flats 2009 A Must See! 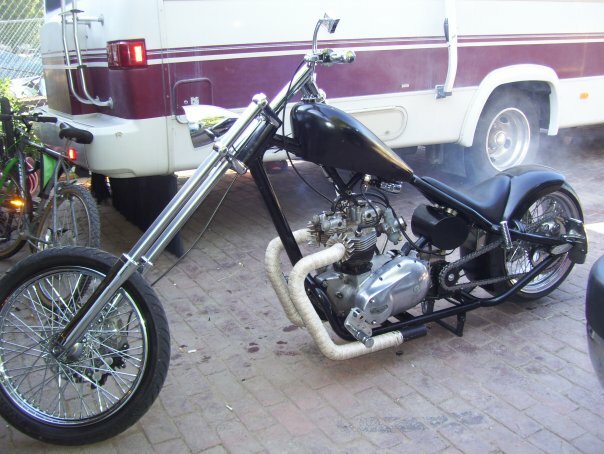 10/25/09 1968 Triumph Custom Updated 7/22/2010 with New Photos! 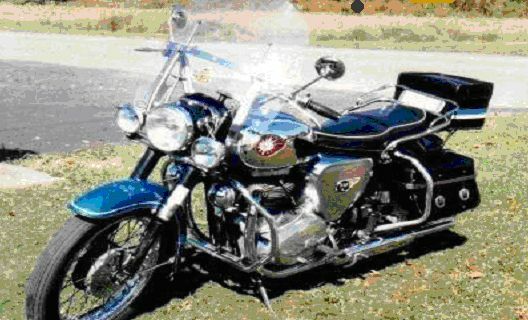 08/30/09 1979 Triumph T140D Updated 7/21/2010 With New Photo! 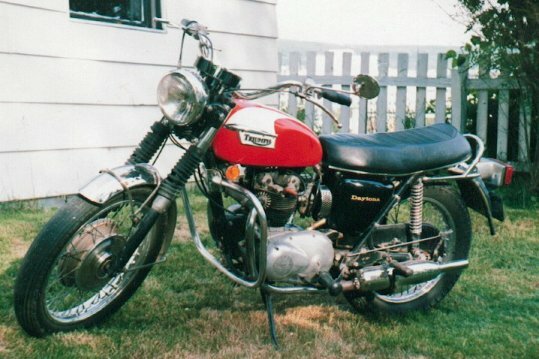 Steve Davis has restored a fine 1979 Bonnie! 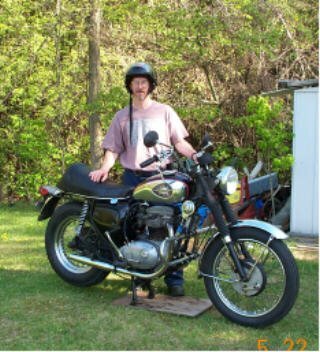 Here's a picture of myself and the bike. Took awhile to get it running right, but now it runs like a dream.